In philosopher Stephen Toulmin's book Cosmopolis: The Hidden Agenda of Modernity, he discusses what he calls the "Received View" or the "Standard Account" of Modernity. It is the one we are familiar with that holds that until the Englightenment, the world was in intellectual darkness, brought on by religious thought, until the onset of science. Toulmin, most famous for the "Toulmin Method" of analyzing a rhetorical argument, points out that it has little basis in reality. Rather than expanding the scope for rational or reasonable debate, 17th century scientists narrowed it. To Aristotle, both Theory and Practice were open to rational analysis, in ways that differed from one field of study to another. He recognized that the kinds of argument relevant to different issues depend on the nature of those issues, and differ in degrees of formality or certainty: what is "reasonable" in clinical medicine is judged in different terms from what is "logical" in geometrical theory. Seventeenth-century philosophers and scientists, by contrast, followed the example of Plato. They limited "rationality" to theoretical arguments that achieve a quasi-geometrical certainty or necessity: for them, theoretical physics was thus a field for rational study and debate, in a way that ethics and law were not. Instead of pursuing a concern with "reasonable" procedures of all kinds, Descartes and his successors hoped eventually to bring all subjects into the ambit of some formal theory: as a result, being impressed only by formally valid demonstrations, they ended by changing the very language of Reason—notably, key words like "reason," "rational," and "rationality"—in subtle but influential ways. We could add, as another methodological fallacy introduced by the rise of scientific materialism, the idea, not only that rationality encompasses only the formally valid, but that it includes only the empirically verifiable (the tradition that comes from Bacon, as opposed to Descartes). And of course the irony here is that the idea of strict formal demonstration and empirical verifiability are largely conflicting methodologies. To say the the 17th century was a time in which Reason was freed from the shackles of Medieval superstition is one of the founding myths of scientism. 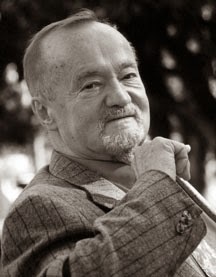 "Clearly," says Toulmin, "it is time to give up any assumption that the 17th century was a time--the first time—when lay scholars in Europe were prosperous, comfortable, and free enough from ecclesiastical pressure to have original ideas; and it is also time to reconstruct our account of the transition from the medieval to the modern world on a more realistic basis." For anyone to call the Middle Ages—the age of Peter Abelard, Albert the Great, Thomas Aquinas, and Duns Scotus—is to betray a basic ignorance of medieval history and thought. In fact, the Middle Ages was perhaps the great age of logic. Alfred North Whitehead goes so far as to say that the revolt of Galileo was far from a revolt into reason. "On the contrary," says Whitehead, "it was through and through an anti-intellectualist movement." The Middle Ages, Says Whitehead, "was the age of faith based upon reason. In the later period, they let sleeping dogs lie: it was the age of reason based upon faith." We could add, as another methodological fallacy introduced by the rise of scientific materialism, the idea, not only that rationality encompasses only the formally valid, but that it includes only the empirically verifiable (the tradition that comes from Bacon, as opposed to Descartes). You mean, as opposed to rationality containing the formally valid and the empirically unverifiable? That rationality would be willing to accept truths that are purely formal in nature, as opposed to considering such statements as undecidable? For a neutral example, it it truly rational to say "the continuum hypothesis is true"? I would disagree. So would it be irrational to say that a triangle is a three-sided figure? For anyone to call the Middle Ages—the age of Peter Abelard, Albert the Great, Thomas Aquinas, and Duns Scotus—is to betray a basic ignorance of medieval history and thought. I would like to "betray a basic ignorance of medieval history and thought", but I cannot find a phone number for the Middle Ages. Are you asking if making a definition for a word is a rational act (I would say neither rational nor irrational, just convenient), or that recognizing a figure meets the definition after counting the number of sides (that seems rational)? A clarification: to judge that a triangle is a three sided figure is not really about defining a word, it's a judgement about the nature of a mathematical object. As I understand your clarification, your father was asking if it was rational to look at a polygon with three sides and identify that if met the definition of a triangle. I can accept this as a rational act. If you mean something more, can you explain it? This is different from taking a position on the truth of something that has no empirical verification. The continuum hypothesis describes a relationship between two sets, neither of which is defined by the continuum hypothesis. This is unlike your triangle example in that regard. Again, would you call it rational to say "the continuum hypothesis is true", as opposed to "I accept that the continuum hypothesis is true for this purpose"? "So would it be irrational to say that a triangle is a three-sided figure?" Nor is it, as the other option you propose "making a definition for a word." A triangle is a mathematical object with definite properties. Triangularity (qua object) has three sides regardless of any act on our part. To be triangular is to have three sides, even if no rational minds ever existed to talk about mathematics. Thinking about it in terms of recognizing this or that thing as a triangle is a separate question from the one asked. Thinking about it in terms of defining words confuses a word with its referent. And if it is not rational to say that a triangle has three sides, you are using the word "rational" in a way so totally idiosyncratic that, to my knowledge, you are the only one that uses it that way. Phone calls are ringing from the Middle Ages via historian Regine Pernoud (try "Those Terrible Middle Ages:Debunking the Myth") and author Thomas Woods (try "How the Catholic Church Built Western Civilization'). These are intended for the layman yet are solid presentations. I'm struggling to see a difference between what you wrote and saying that a figure matches a definition. "To be triangular is to have three sides, even if no rational minds ever existed to talk about mathematics." Yes, that's the definition of triangular. Something with three sides has three sides, even when no one is there to witness the sides. You can note something has three sides if you have the concept of a side. Are you asking if the entire concept of universals is a rational concept? Are you saying that universals fit into that which is "formally valid and empirically unverifiable", or that the notion is "purely formal in nature"? If not, in what way is this relevant to what I posted? Do you have an answer to my question on the continuum hypothesis? I would say that affirming the existence of universals is as rational as affirming the truth of the continuum hypothesis. I don't know how to make it clearer. You responded to the question "would it be irrational to say that a triangle is a three-sided figure?". Just for convenience sake, we'll call this statement A (or just A). You asked if A meant either B) "making a definition for a word" or C) "recognizing a figure meets the definition after counting the number of sides." Now obviously A is neither B nor C. I've already stated this (with perfect clarity), but I'll try again. B is about creating a definition for a word. This confuses the word (e.g., triangle, Dreieck, three sided polygon, or whatever) with the referent: which is an ideal object. C is wrong because it contemplates an a posteriori judgment, while A is an a priori judgment. You do not need to see or imagine any particular figure to understand the truth of an a priori statement like A. As to the continuum hypothesis, it is unhelpful in this debate. Why would you want to discuss such an esoteric aspect of set theory? The only reason I even know what it is is that I happen to be studying Alain Badiou, the French mathematician/philosopher. The continuum hypothesis is a subject of current debate among mathematicians, and can be approached a number of ways (due to its very weird relationship to ZFC axiomatization.) The status of the continuum hypothesis goes to the most fundamental and intractable questions of set theory. If we're going to have an intelligent discussion about it, you should pick something that doesn't raise so many preliminary issues (such as whether it's even a definite mathematical problem, whether set theory should be understood platonically or formally, what it means that it's independent of the ZFC axioms and so on). You're posing an example that raises many more issues than were at stake in the original debate. Do you really want to pick something that would probably require us settling the question of mathematical formalism or the axiomatization of set theory before getting to the real point? I apologize if I seem deliberately dense. I understand that you do not mean "C" now, and appreciate your patience. I am trying to work through the difference between A and B, carefully. With regard to the ideal referent, that is a polygon with three sides. The term "a priori judgement" makes little sense to me; how can you judge a referent before you experience it, particularly when that referent precedes your existence? I suppose instead of a definition, it might be a classification. If you disagree, perhaps you could tell me what type of information it conveys to say "a triangle is a three-sided figure" that is not a definition, not a classification, and not a judgement? So, for the moment taking it as a classification, I would agree it's rational to create useful classifications, but not rational to create useless classifications. In the case of triangles in particular, that seems to be a useful classification, therefore rational. The matter of the continuum hypothesis is actually settled, in that you can freely assume it true or false in ZFC, and neither choice will create any contradiction in ZFC; and also there is no empirical way to verify it. That's why I mentioned it; it's an example of a formally valid, empirically unverifiable proposition. Can you be truly rational in taking a firm position on its truth? It's easier to see with the example of a chiliagon (1,000 sided polygon) than a triangle. In other words, the judgment "chiliagons have interior angles that total 179,640" can be made a priori--without considering any particular chiliagon, whether imaginatively or perceptually. I can also make a posteriori judgments about chiliagons. For example, I can look at a chiliagon and count its sides. Then I could say "this chiliagon has 1,000 sides." I could do the same with its interior angles. Do women really make '77 cents on the dollar'?